Please select options for Bama Rev-X Tuner by SCT w/ 2 Custom Tunes (15-17 GT) at the top of this page. The Bama Rev-X will be for the S550 GT owners out there looking for an affordable tuning option to deliver not only more power, but also more torque to your Coyote-powered Mustang. Prospective buyers will be receiving two custom tunes, in addition to being enrolled into Bama's Free Tunes for Life Program, which allows users to get tune updates as your modifications grow. Now, along with the Bama tunes, owners will be receiving the latest device here called the "Rev-X tuner" with the added benefit of cloud-based tuning, which is an industry first. Your price point is going to be right around $400, and you're looking at a simple one out of three wrenches on the difficulty meter when it does come time to get these tunes loaded to your ride. 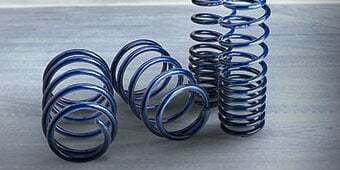 Bama Performance has been doing their thing in the Mustang world for well over 10 years now and has become one of the biggest names in the industry, thanks to combining affordable prices, great customer service, and pretty solid gains. 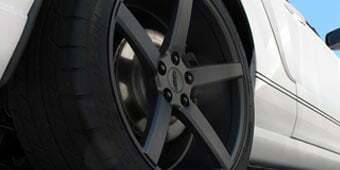 Now, their Free Tunes for Life Program continues to be a big hit with many Mustang owners out there. Because let's face it, guys. Modifications never really seem to end, and with the company's program, you get a tune revision every time you add a modification, allowing you to maximize your performance. But aside from the Free Tunes for Life Program, Bama likes to deliver a couple of different tuning options, their Performance V2 and their Race V2 tunes.That Performance tune is a little bit more geared towards the street. A small bump in power, a little bit better throttle response, improved shift firmness for those automatic cars. The Race tune, on the other hand, is super aggressive and is designed for all-out performance, using 93 octane or higher fuel. But let's get to the stuff you guys want to see, and that of course is the Dyno numbers that you might be able to expect with your own 2015 or newer GT. We already established a baseline run earlier today using our manual 2015. We then reran the car using the 93 octane Race tune from Bama, and here are those results. A baseline run using our six-speed 2015 GT gave us 382 horsepower and 359 pound-feet of torque at the rear wheels. With the 93 octane Race tune uploaded, the car is now making 403 horsepower and 383 pound-feet of torque. That's good for a peak gain of 21 horsepower over those baseline numbers, and gains as much as 32 horsepower and 39 pound-feet of torque under the curve. Keep in mind here, gang, Dynos are going to be different. Conditions will be different. So your results may vary. But this is just to give you a better idea of what to expect with the Bama tuning team. Along with those power numbers, prospective buyers can also look forward to things like improved throttle response, smooth idle, and great drivability around town, just to name a few. But as I pointed out earlier, this package does include two different custom tunes from the Bama Performance team, along with unlimited data log revisions to get the best experience possible. Bama also offers more in-depth tunes for things like nitrous, E85, and forced induction. But because those tunes are a little bit more involved, they are going to cost you a little bit more. But let's quickly touch on this Rev-X device here, because there are some really cool things to talk about. Now, on the surface, the Rev-X will be very similar to the X4 that you guys probably all know and love, in regards to just basic features and operation. But with one big exception, and that is this new cloud-based tuning system. What does this mean for you guys? Well, instead of needing a laptop to receive your tunes from the Bama team, you're just simply going to connect the Rev-X device to a WiFi signal. It's going to prompt you to download these tunes from the cloud, and that's pretty much it. It's a nice feature for a few different reasons. First and foremost, guys, it's really going to speed up the process of not only receiving your tunes, but also loading them onto the device, in addition to not needing a computer to get you up and running, messing with emails, things like that. If you're a Mac user, well, this is a complete gamechanger, guys. Because let's face it. Most aftermarket tuning devices aren't Apple compatible. Now, for starters, you are getting the onscreen gauges and data logging capable of reading and displaying up to eight different values at one time. Some of these include things like air/fuel ratio, intake air temp, boost, coolant temp, ignition timing, just to name a few. But even though the case is a little different, the overall dimensions really haven't changed all that much. It's still roughly the same size as most smartphones out there, complete with a three-inch, full-color LCD screen. It is configurable or viewable in two different ways. You have your Portrait mode, which is going to be the straight up and down, or you can flip it over to its side and give you that Landscape mode. Now, on the topic of displaying this device, one thing that I actually thought was really cool about this is this little portion here on the back. It's actually magnetic. So if you have one of those cell phone holders that is magnet-based, it's going to be a great way to display the device for everyday driving. But it's also going to make it very easy to remove, toss in the glovebox or center console when needed. But in addition to all of the stuff we've already talked about so far here with the device, you can also expect some of the other greatest hits, if you will, such as your WiFi capabilities, which will allow you to download those tunes wirelessly from the cloud, like we already talked about. But it's also going to allow you to download any future firmware updates to the device without the need for the computer, again, like we already mentioned. 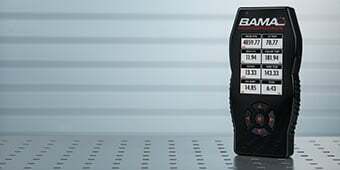 Now, even though you are only receiving two custom tunes from the Bama Performance team, the Rev-X tuner does have the capabilities to hold up to 10 at one time. Now, of course, you will be able to read and clear those diagnostic trouble codes, better known to you guys as check engine lights, with the Rev-X device here, in addition to returning the car to stock if you ever needed or wanted to during your time of ownership. The Rev-X does also include both your USB cable, which can be used to connect this to a laptop for data logging and things like that, in conjunction with your OBD-II cable as well, which will be used to connect the Rev-X device to your S550. Speaking of connecting this little guy to your ride here, let's get into the install briefly using the Rev-X device. Honestly, guys, it's very straightforward. So one out of three wrenches on the difficulty meter here. You don't even have to get your hands dirty. Maybe 30 minutes of your time to get you up and running for the very first time. This might seem pretty obvious, but I strongly recommend just following the included instructions with the Rev-X tuner, just for the initial startup, but also the basic operation. This will also help you get those tunes onto the device for the very first time. Once you have that taken care of, go ahead and plug the device into your OBD-II port, and wait for it to power on. Now, you can navigate to the Program Vehicle tab and select the tune you wish to upload. Follow those onscreen instructions, and your installation is complete. Wrapping this one up, the Bama Rev-X will be your most affordable custom tuning option currently on the site. It's going to deliver two custom tunes and their Free Tunes for Life Program, all on the very cool, new Rev-X device, which is going to help make the tuning process a much easier one. 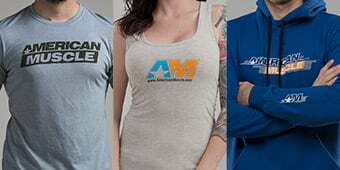 So be sure to check out this combo right here at americanmuscle.com. More Power and Better Performance. Now you can add Dyno proven gains in power and torque, as well as improve the overall performance of your 5.0L powered GT Mustang with a Rev X Programmer that includes 2 Bama Custom V2 Tunes. By optimizing the air/fuel ratio, adjusting ignition timing and tweaking variable cam timing, a Bama Performance Custom V2 Tune will squeeze out the extra power Ford left on the table. 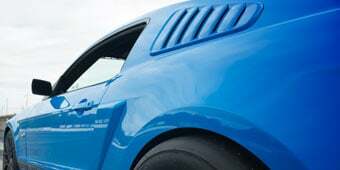 Curve Gains of 32 RWHP / 39 RWTQ have been seen on bone stock 5.0L Mustangs with a 93 octane tune. Automatic transmissions will see an even greater gain in acceleration and drivability, as the tune also adjusts shift points and firmness. Bama V2 Custom Tunes. When you order a Rev X Tuner by SCT, you aren't just getting a tuner. 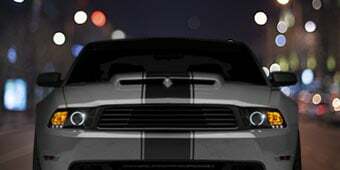 You're getting the tuner and two Dyno-tested custom V2 Tunes that are written specifically for your Mustang and your particular modifications by Bama Performance. Bama even includes datalog reviews to ensure your vehicle is fully optimized. Performance V2 (87-93 Octane) - The Performance Tune offers a seamless blend of power, performance and drive-ability. 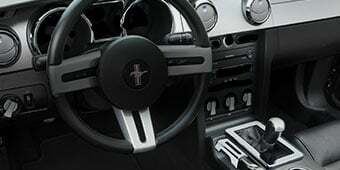 Improving the overall driving experience of your Mustang, the Bama Performance Tune improves vehicle acceleration, increases power throughout the entire RPM and improves throttle response with revised timing, fuel and VCT maps. Automatic equipped vehicles offer an aggressive shifting map to provide more aggressive transmission settings. This tune is suggested for the aggressive daily driver that is looking for more "get up and go." Race V2 (91-93 Octane, E85, Race Fuel) - The Race Tune is designed for maximum performance and ensures the largest increase in vehicle performance. Using the highest grade of fuel available in your area is mandatory as timing, VCT, fuel, and throttle response settings are very aggressive. Automatic transmission settings implement entirely new shift points, torque converter changes and firmness settings designed for Track use. This file is designed for "Race Use Only." WiFi Updates and Cloud Tuning. The Rev X Tuner by SCT is Wi-Fi capable meaning it will always be up to date. Once setup with your Wi-Fi password, the Rev X will download the latest firmware updates via the internet. Besides firmware updates, your Rev X can also download your custom Bama tune files via the cloud, reducing the hassles of transferring files from your PC to your Rev X device. Application. This Bama Rev-X Tuner by SCT with 2 Custom V2 Tune Files by Bama Performance is specifically designed to fit the 2015-2017 GT Mustang's equipped with the 4V DOHC 5.0L V8 Coyote engine. Please note that this programmer is not legal for sale or use in California on pollution controlled motor vehicles. My 2015 GT was tuned by a prior owner. I've detirmined that the o2 sensors have been turned OFF. Will this tuner allow me to turn them back ON again, OR, will it allow me to reset the ECU back to 'Ford Factory Settings/Tune'? The Bama Rev-X Tuner by SCT with 2 Custom Tunes would allow you access to Bama's free tune files to have your vehicle's O2 sensors turned back on - this may cause a check engine lights if the catalytic converters have been deleted. 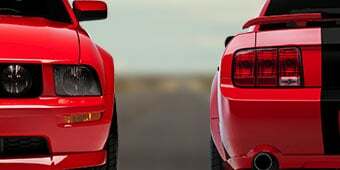 The device itself can store a stock tune but you may need to have the vehicle reflashed at ford to have the original factory settings restored from the previous owner's tune. I see pics of this device remaining attached to the car. Can the tune be downloaded to the car and the tuner then be removed until a new mod is needed, or does it HAVE to stay plugged in? The Bama Rev-X Tuner by SCT can be plugged into the vehicle so you may view the gauges on the unit, however, you can remove the device after your new tunes have been installed. Once the tunes are uploaded to your vehicle and you disconnect the device, the vehicle will still have your new tunes until you device to un-install them. Does this product include throttle response performance enhancement or would I need to get this and a throttle response unit? The Bama Rev-X Tuner by SCT will include custom tunes, which will enhance throttle response and throttle sensitivity. It says free tunes for life, if I order this and get the stock tunes...when I get headers would a ghost cam tune be free as well? Yes, that is absolutely correct. With the purchase of this or any Bama tuner, you are indeed signed up for their free tunes for life program. So at any point if you wish to get a retune, regardless of the reason why, the tune is for free! We do offer a Ghost Cam tune for the Automatic 2017 Mustang GT's. That is correct. This tuner allows you to do all your updating wirelessly, so no need for a PC or any kind of computer with this device. The Bama Rev-X Tuner by SCT and its custom tunes will only affect the stock mode. Once these tunes are downloaded onto your car these will stay active in your car until you decide to take them off. As for as the sport modes, these modes will work in conjunction with the Bama tunes! The Bama Rev-X Tuner by SCT can come with tunes for lower octane fuel. Just let Bama Performance know when submitting the tune questionnaire for your custom tunes! 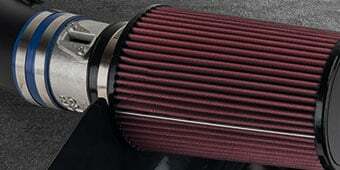 This tuner will work with this intake on it yes! This tuner is able to be used as long as the computer itself is still a factory computer. Yes the Bama Rev-X Tuner by SCT w/ 2 Custom Tunes has the ability to turn off that annoying check engine light caused by a cat delete. We do apologize, the Bama Rev-X Tuner will not work on a 2016 GT350 as Bama does not tune for the GT350. You are able to get the Ghost Cam tune with this tuner for the 2015 GT. On stock setup I got torque gains i could feel in my chest. Love this tuner! After utilizing a Diablo tuner on my 06 GT, I knew what to expect with the SCT and was still impressed with the unlocked power. Having free tunes for life makes this purchase a no brainer. First time ever using a handheld tuner or uploading a tune and it was simple to understand and use. 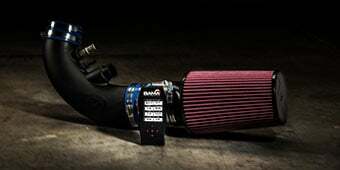 I purchased the Bama Rev X Tuner and C and L Race cold air intake and I expected the results Justin got in the video. Nope...I got considerably less and actually lower than stock. Easy to use, custom tunes. Really can appreciate the difference in power gains especially with the right combination of bolt ons. I got this tuner with a CandL Racer CAI. There is modest horsepower gain, and I can feel a noticeable, not drastic, increase in acceleration. This is a great hand held tuner. It was so easy to download the tunes from the cloud to the tuner via Wi-Fi. I have the 87 octane performance and the 93 octane race tune. I like them both but I really feel a big difference in power with the race tune. Support staff was super helpful getting the correct tune for my car. Easy to install and use. I chose a 93 octane race tune as well as a 91 octane tune. Car is definitely quicker. Definitely improved top end power but seems to hesitate or stumble under hard acceleration on low end. I have the ford racing exhaust with Steeda CAI. Eventually I may have it professionally tuned....don't drive it enough to worry about. After several weeks my instrument cluster lights, gusges and radio stopped working. I had to return it to stock pgm to get restored. Not sure what caused this. The tuner itself is nice, its lighter than I thought, but still sturdy. The software is intuitive and straightforward. Installing is as easy as reading the instructions. I will say that at one point, the tuner resets the car, so lights will start to flash. I uploaded the tune at night in my garage, so when the lights started to flash, it was kind of spooky especially with the red tail lights. However, after that, it was awesome. Throttle response so unimaginable better than stock. The car feels more eager to launch. I also really enjoy the lower idle RPMs. It's a nice touch. The car overall feels more like a race car. I would 100 recommend this! Easy to install, great support, big bang for the buck. All of the sudden, I have a traction problem with my 2016 GT. Great investment, lack of directions. When I initially received the device I wasn't aware that I had to deliver American muscle my vehicles information. I might sound like an idiot, plus my excitement got the best of me. But they should've made it stupid easy to see for idiots like me.